Nigeria sinking court fumbles with the case file of Mazi Nnamdi Kanu. 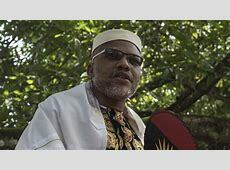 Court of appeal judges in Abuja were bold enough to declare that they have misplaced the case file involving Mazi Nnamdi Kanu. It is unheard of in history that a case of human right abuse in this magnitude could be used for a comic piece by the Nigerian judiciary. Nigeria has continued to exhibit those complexities that confirms it as a failed state. While the Indigenous People of Biafra have continued to expose the lies peddled through the judiciary yet, as days go, unheard stories unfold in the failed contraption called Nigeria. According to Emma Powerful, the Press and Publicity Secretary of the Indigenous People of Biafra, when we thought the judiciary and legal establishment could not sink any lower in Nigeria, the impossible has happened. Court of Appeal judges today sitting in Abuja has declared the file of the leader of IPOB missing/misplaced. It is unheard of in the history of Nigerian judiciary that a matter coming up for final judgement almost a year after the appellate court jury adjourned the matter having heard all the arguments. Not only is the delay by the Appeal Court illegal and unconstitutional, the conduct of those that heard and handled this very case is troubling. We no longer know what to make of the Nigerian Judicial system. This is beyond a joke. The only thing missing from today's court hearing is the proverbial snake because it wasn't confirmed if the case file had been swallowed by yet another snake at the Appeal Court. We are drawing the attention of the civilised world to the mess the Nigerian judiciary, terrorised by a brutal dictatorial regime has turned into. Instead of delivering judgement for Mazi Nnamdi Kanu, the judiciary would rather break every constitutional provision guiding the time line in cases at the Appeal Court. Nnamdi Kanu is in court to challenge the ruling of Justice John Tsoho when he reversed a ruling he gave on masking of witnesses in the treasonable felony trial of the IPOB leader and 3 others. This matter is one year overdue because the Nigerian constitution, which judges are meant to interpret and uphold, clearly stipulates that all Appeal Court judgements MUST be delivered within three months. It is up to a year without any judgement on this matter contrary to constitutional provision.